The Lawn Tennis Association are the governing body for the game of tennis in Great Britain.The Club continues to work closely with the Sussex LTA to ensure we provide the best facilties, best coaching, best support to promote the sport of tennis within our local community. We recognise that the future of the sport lies with providing the correct framework to match the LTA's own Blueprint for Tennis. We are committed to working to attract as many Juniors to the sport as we can and providing the correct developement to ensure 'More players - better players'. The LTA's fantastic support recently enabled us to provide state of the art floodlighting on 4 additional courts, further expanding our offering to the local community and increasing the number of available hours of tennis we can provide throughout the year. 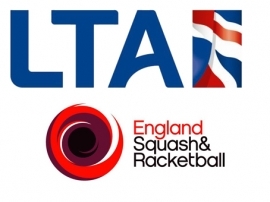 England Squash are the National governing body for squash and racketball within the UK. The club works closely with England Squash to ensure that we are doing all we can to maintain high standards in coaching, development and facilities.